Check the web address – Always check you’re on the correct website. Criminals can set up fake websites that have a similar design and web address to the genuine site. Is it a secure connection? – Web pages you enter personal or financial details into should display a locked padlock sign and have a web address that starts with https. This means your connection to the website is secure. 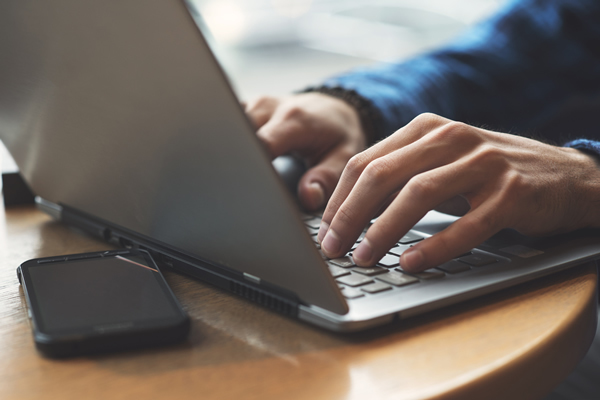 Phishing – Don’t click on links or attachments within unsolicited emails. 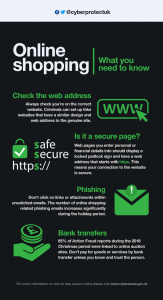 The number of online shopping related phishing emails increases significantly during the holiday period. Bank transfers – 65% of Action Fraud reports during the 2016 Christmas period were linked to online auction sites. Don’t pay for goods or services by bank transfer unless you know and trust the person. Payments via bank transfer offer you no protection if you become a victim of fraud.